This 7.5 foot aluminum player's bench is made with mill finish aluminum planks and square all aluminum frames. Our commercial grade aluminum benches offer seating for municipal properties, recreation, and sporting events. 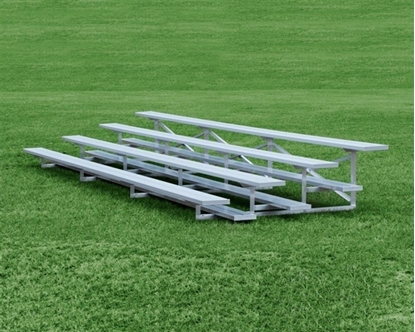 Aluminum sport benches are found by the field for player seating. Quick Ships in 3 business days up to a quantity of 4!